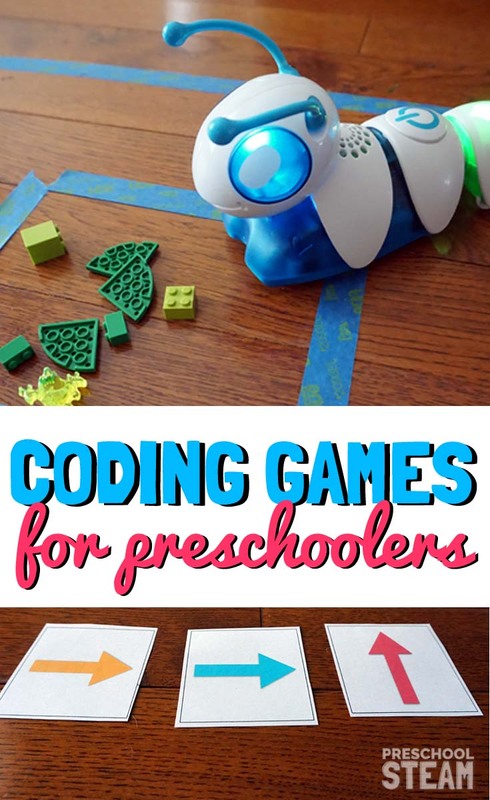 Did you know you don’t need fancy technology or equipment to get started coding? 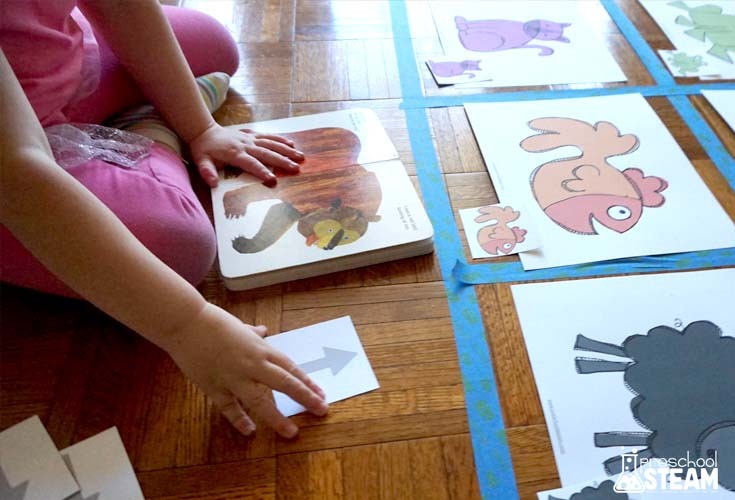 Coding games for kids engage young children in beginning steps to thinking like a programmer. 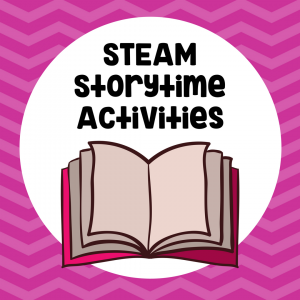 This coding game combines STEAM storytime (one of our favorite ways to integrate read-aloud books) with a fun coding STEAM challenge. 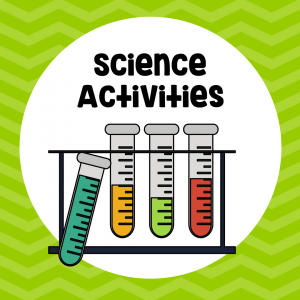 STEAM represents Science, Technology, Engineering, Art, and Math. Understanding how technology works is important for the future our preschoolers. Not only so they have the necessary skills to live in a future world but so they can help build the future world. 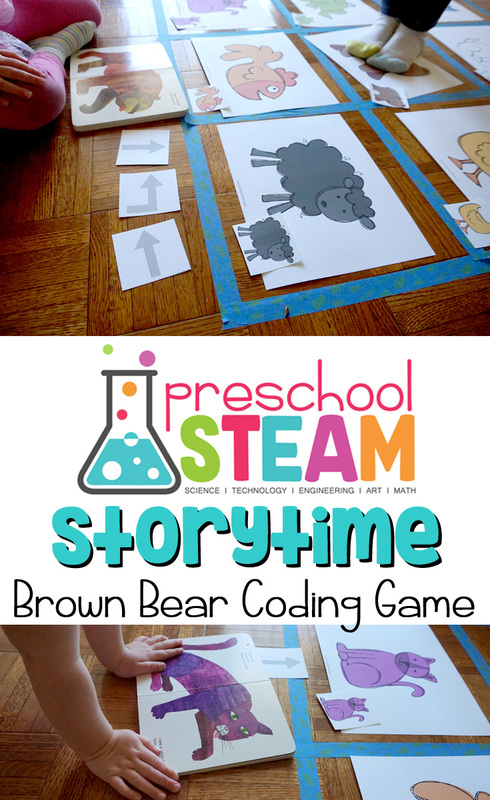 Before playing the game start with reading the story, Brown Bear and allowing the children to explore the story through different re-telling activities. 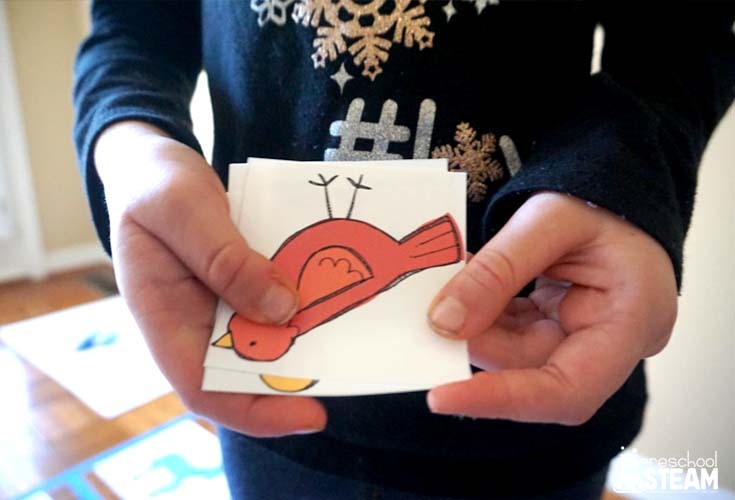 Once children are familiar with the pattern of the story then introduce the coding game. Mark a 9 square grid on the floor or drop cloth with painter’s tape. 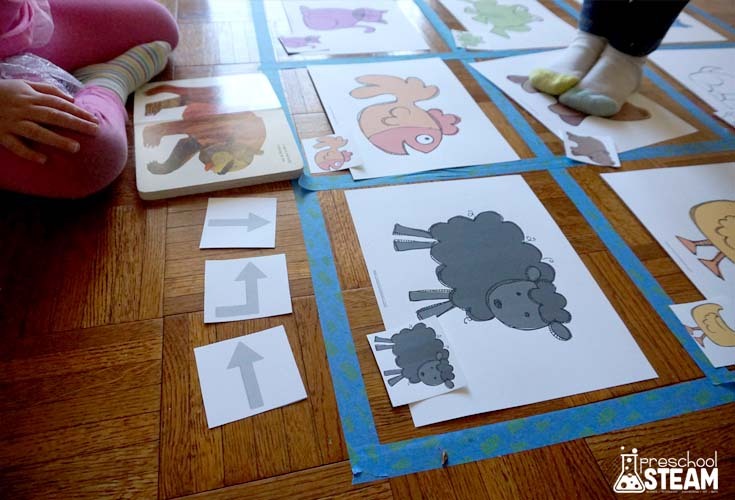 Tape a large animal from the Brown bear story to a square of the grid. Repeat for each animal. 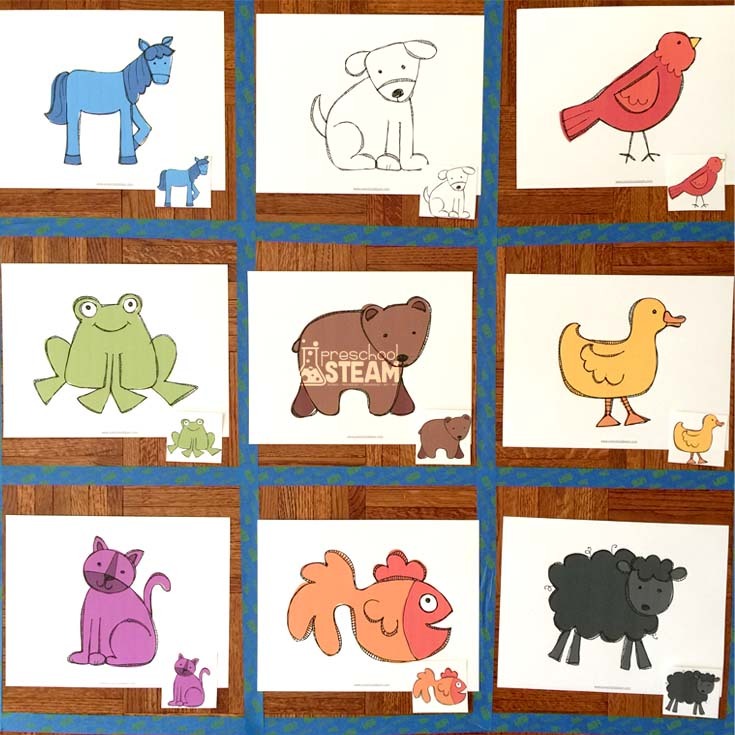 Print and cut out smaller versions of each animal and place on the corresponding animal square. Select one child to be the “robot” and one child to be the “programmer”. The “programmer” uses the arrow cards and verbally tells the “robot” which way to move. 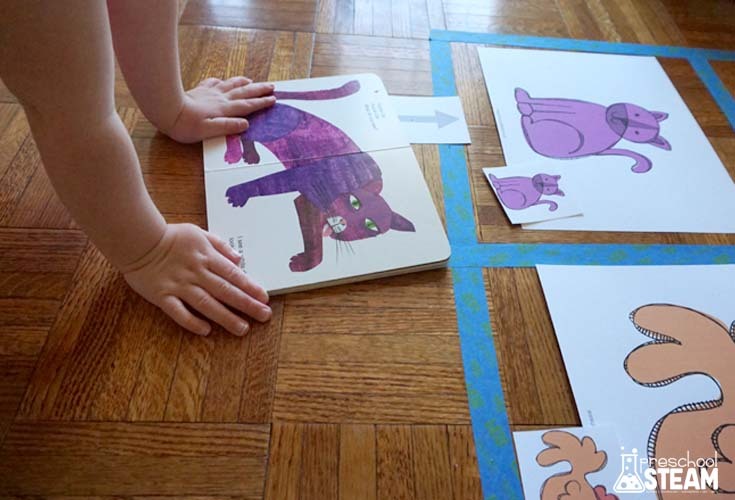 Use the arrows to direct the “robot” through the grid towards the first animal of the Brown Bear book (the brown bear). Pick up and collect the small version of the animal. The programmer repeats giving directions until the “robot” has collected each animal. Use a timer to see which team can collect the animals in the quickest amount of time. Use a robotic toy like the Fisher-Price Code-a-pillar or Beebot and direct the toy to each animal.